Great update of a digital art classic! 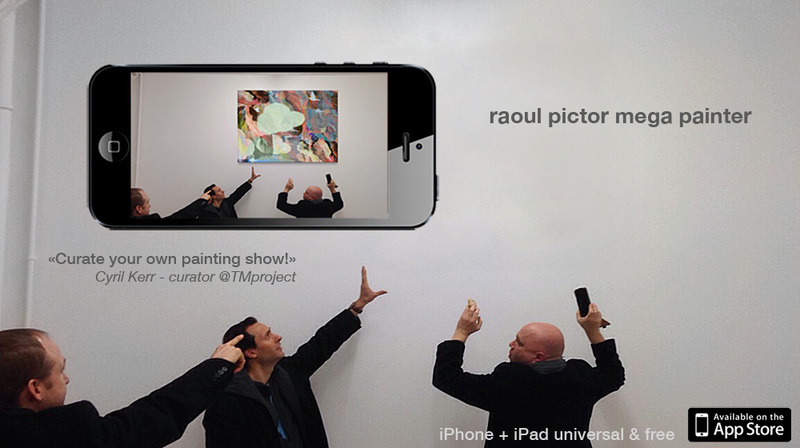 “With this app, you will get a pioneer work of Swiss digital art! Furthermore, it will generate an endless amount of new artworks! 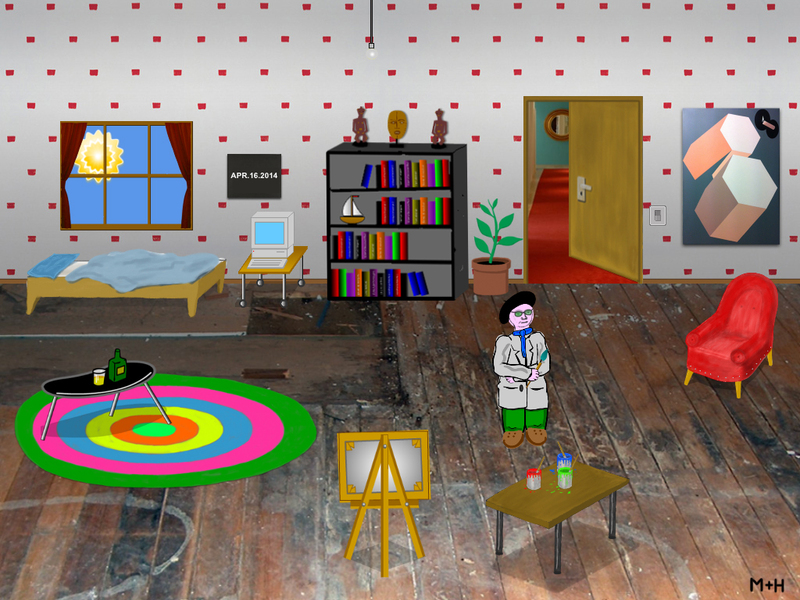 Raoul Pictor, the charming fictitious painter starring this app, was first created by artist Hervé Graumann in 1993 on an Apple LC 475 computer. The pictures created by Raoul were printed on an ink jet printer. The exhibition visitors could take the prints for free or a few bucks. 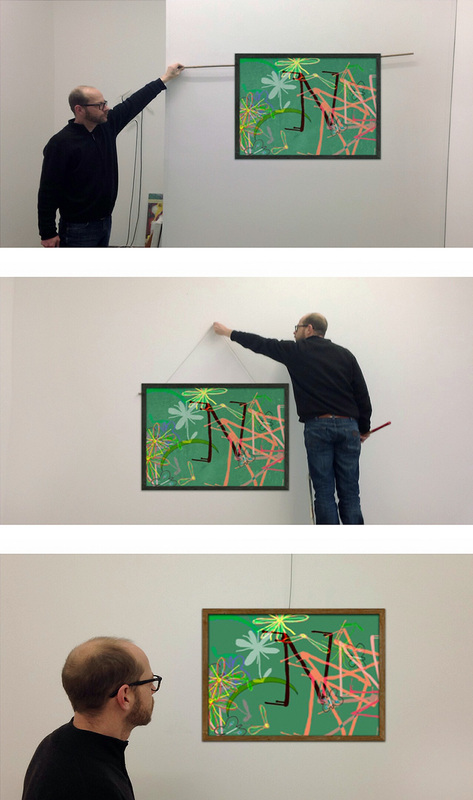 “The Raoul Pictor app show”, 2014 – TMproject gallery, geneva Cyril Kerr installing a painting. Other images of the installation of the exhibition here. Images of the exhibition here.